Many Bed Ensembles and Bed-In-A-Bag sets include a variety of accessories, most bedding sets will include a comforter, complete sheet set, bed skirt and pillow shams. Choosing a comforter ensemble is a great way to get the top quality designer bedding you are looking for at a great value. Bed in a bag sets are not only a great deal, they also offer the convenience of being able to purchase an entire bedding set which is already coordinated and pre-packaged together all in one set. 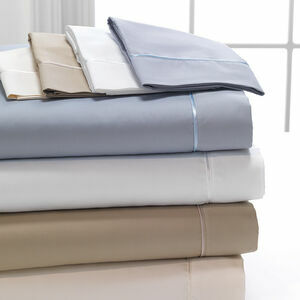 Relax in comfort with our luxurious 100% Egyptian Cotton Sateen Sheet set proudly manufactured in the USA from fabric. 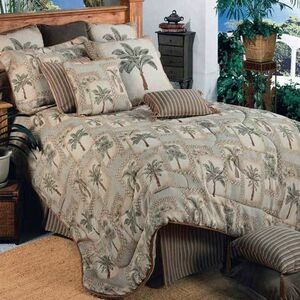 This wonderful collection is available in 500 thread count. Our fitted sheet fits up to an 18” mattress with all around elastic. Our flat sheet is extra long and extra wide to accommodate the thickness of the mattress. With so many styles of canopy beds, it can be difficult or overwhelming to decide which type of canopy is for you; fortunately The Linen Store can help you make your decision. 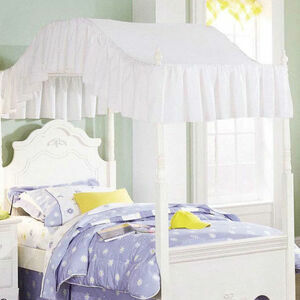 Browse through our selections of flat and arch style canopy bedding in a variety of solid colors, eyelet, lace and more, custom sizes are welcomed for that hard to find size. 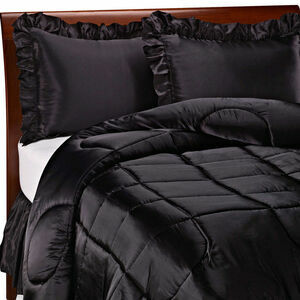 High Quality Bridal Satin Sheets, Comforters, Duvet Covers, Bedskirts, Pillow Shams and more. Bridal Satin is smooth, slick and silky, the most durable satin offered. 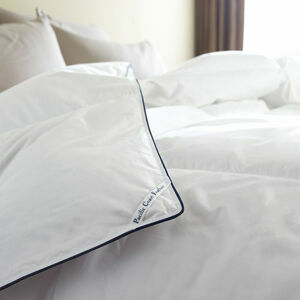 Satin bedding is made for any bed just for you because it is sewn The Old Fashion Way In The U.S.A. The Linen Store has been offering high quality bedding from Kimlors Karin Maki Collection as well as a variety of outdoors themed bedding for more than 18 years. Here are just a few of Kimlor Mills bedding designs which include rustic cabin styles, wildlife, camo and back woods pictured Bedding. Kimlor is the exclusive manufacturer for these bedding licenses; True Grit, Realtree, Mossy Oak, Karin Maki, Bone Collection and Browning Buckmark bedding.